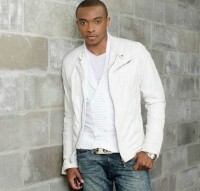 There can be few newly launched gospel artists who have received the kind of enthusiastic response to their debut release that Chicago's Jonathan McReynolds has enjoyed. His Light Records album 'Life Music' has simply wowed the critics with GospelFlava.com writing, "It's clear McReynolds looks to be an artist with staying power," while dagospeltruth website enthused, "Every song from beginning to end is interesting, complex, yet palatable, inviting, warm, inspirational, creative, introspective, transparent and purposeful." Hailing from the south side of Chicago, McReynolds had a happy childhood. He said, "I grew up in the church and my family was very musically inclined. We were the type of family to sing happy birthday in three part harmony and things of that nature. We loved music. I started on the drums and then moved on to the organ and keys. During high school I began to really get into singing. I sang in a group and got into vocal production during my college years. I continued to create music and one day a song of mine got to a radio announcer in Chicago. Soon after I got a call about going to sing it at a church and I kept getting called on to perform. That was my journey into becoming an artist. I was not really seeking after becoming a recording artist. It happened and I'm learning along the way." Jonathan admits to an extraordinarily diverse set of influences. He told thegospelguru website, "I have so many and some of them aren't gospel artists. Definitely Kim Burrell, Smokie Norful, J Moss, James Morrison, Natasha Bedingfield, India Arie and John Mayer. . . those two really stand in the forefront. When I got to college I got the chance listen to a lot of the great songwriters like John Lennon, Paul McCartney, Bob Dylan and all of that came together to what you kinda hear, just a really different form of Christian music." While studying for a Bachelor's degree in music at Columbia College, Jonathan began making a recording which turned into an EP. He told journalist Charles Clark, "When I made the EP it was actually just as a Christmas present for my aunts and uncles. I didn't have enough money - you know, [in] college, you've got the little 'noodle' budget - and I was really just making gifts for them. And that's why it's called 'The Very Unofficial EP'. There [were] no commercial intentions at all and so it's just amazing, again. God is just blowing my mind with what he's doing with it. So when I was making the EP, me being an 'artist' wasn't really the mindset. It wasn't the intention. It was just something I enjoyed doing and the music that God gave me. I was writing music in high school but - again - it was a hobby. It was something fun to do. I didn't know what exactly God was gonna do when it came to musical ministry but he's definitely told me in the past two years." 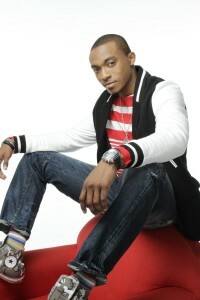 Signing with the renowned gospel label Light Records Jonathan's humble EP was expanded into 'Life Music'. He explained, "A lot of the project was already completed, and there are definitely some new additions and re-recordings of some of the songs. The project is reflective of my life and the lives of those around me. I had no commercial ambitions initially, so I just wanted to write what was real to me, and about experiences that I believe are indicative of real life. Because my motivations for doing this were not for commercial success, no matter how tired I have felt, or if I have been unsure about something I have continued to push forward. It has been about sharing my truths and hoping that it would resonate with someone." The singer/songwriter explained what he is trying to bring to the public through his music. "I want them to feel like they can relate to what I'm saying. I do not want them to feel like I'm speaking from an elevated position. For me it's all about navigating life well by following the path God has for me, and I want that to be the takeaway. In terms of my sound, I would describe it as folk, pop, R&B, neo-soul, and of course gospel. Folks are getting a great mixture of sounds on this project. I'm a different kind of dude. I like to experiment stylistically and I also listen to a lot of CCM. Songs like 'Glory Up' display my desire to experiment with the sounds of different genres." Jonathan Mcreynols came and ministered in music at our church. As he began...we could but listen to the words. We were blown aaaaaaway!!!!!!!!!! We screamed and hollard. AND rhen got quiet so we could hear the word's and started screaming and hollaring again. Anyway in my ht head he has been adopted by my family. Auntee Diane will fix you macoroni to nlow your mind. Minister Too King is our minister of music. I know you have blown up! God love you. He love you.Gos love him some Jonathan.....yes he do!